So, the Woolco experiment didn’t go quite as planned in the old Hecht Co. building. 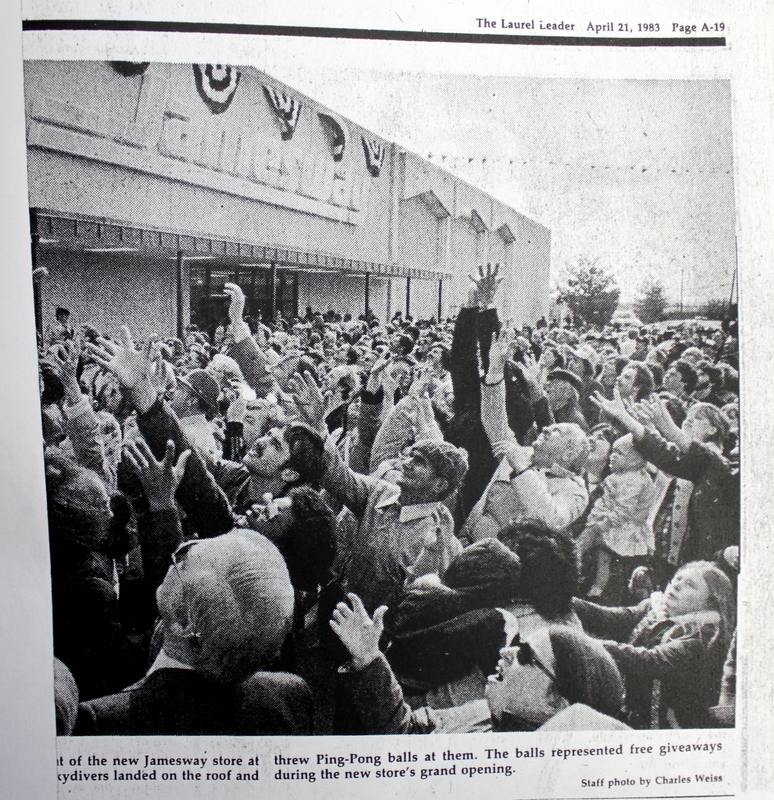 And just a little over a year later, in April 1983, another store tried its luck. So did hundreds of eager Laurel residents, who came out on opening day to try to catch ping-pong balls—being tossed from the roof by skydivers—in order to win free door prizes. 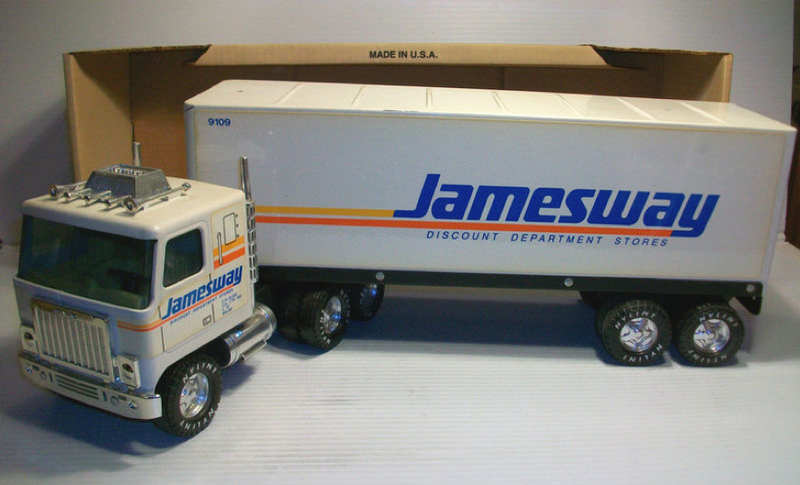 Jamesway, founded in 1961 in Jamestown, NY (hence its name), rapidly expanded over the next two decades—eventually peaking at 138 stores in the Northeast and mid-Atlantic regions. Woolco was one of several defunct stores that Jamesway subsequently acquired. It was actually very much like Woolco, in that it was a large discount department store that seemingly carried everything under the sun; but it felt newer. 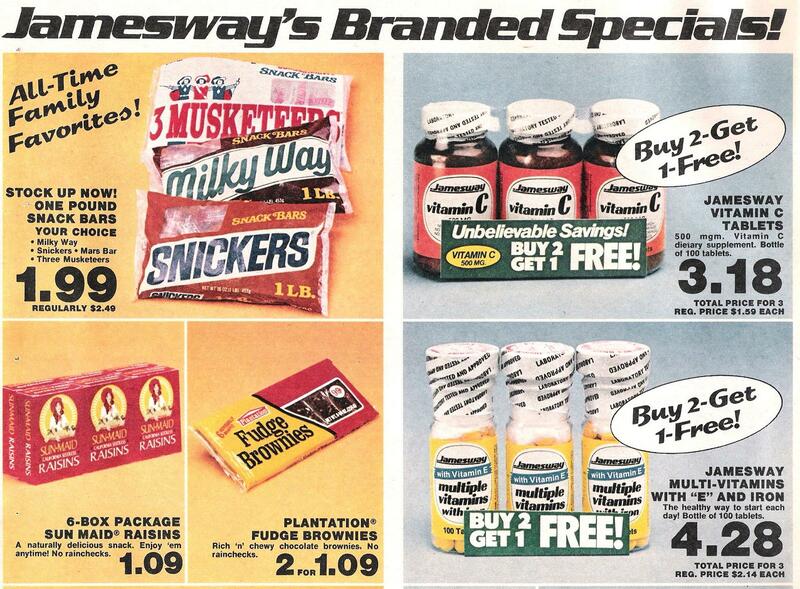 And to those of us in Laurel, it was new—I’d certainly never even heard of Jamesway before those ads started coming out. 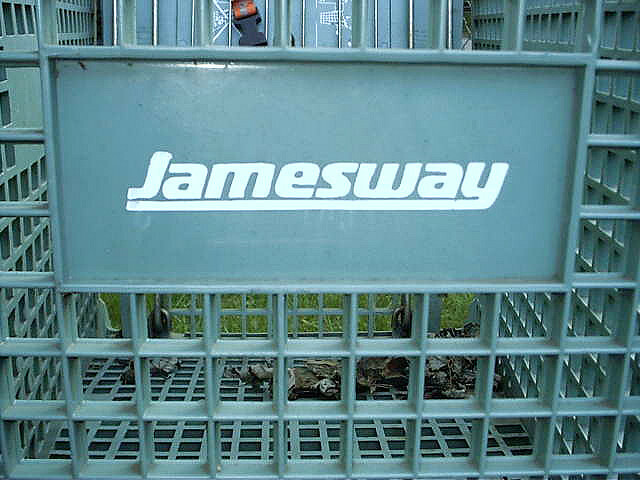 And the Jamesway brand felt fresher, too, with its bright blue, orange, and yellow. I’m still not sure why they went with those mint green shopping carts, but they too felt new. 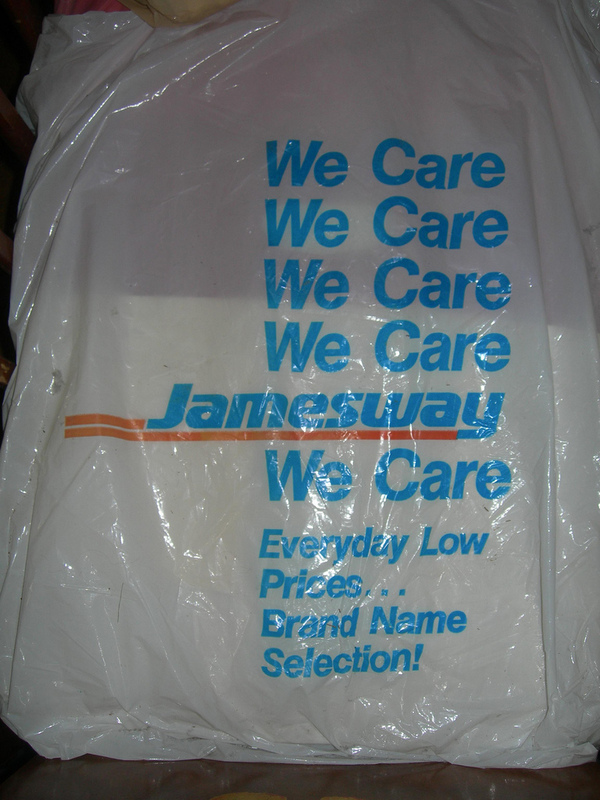 Being the discount department store that it was, (competing with the likes of Zayre/Ames and Bradlees at the time) Jamesway certainly didn’t appeal to fashion-and brand-conscious kids of the 1980s. Nonetheless, it was a great resource for all other things; you just didn’t want your parents coming home with any kind of Jamesway clothing for you. Or worse, shoes. I don’t remember exactly what a pair of Jamesway sneakers looked like, but I assume they did, in fact, exist. And it’s a safe assumption that they fell under the dreaded “maypops” category. Which is a shame, of course, because the clothes probably weren’t necessarily bad. The shirts just didn’t have little alligators sewn on them. 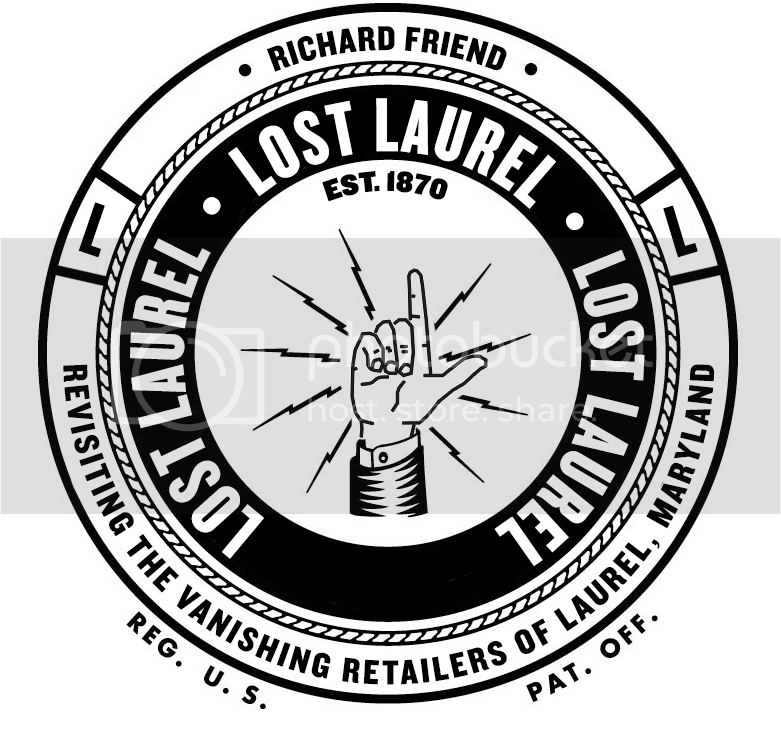 Jamesway definitely fared better than Woolco did, and the Laurel store proved to be a popular and successful location that remained through the decade. But the 1990s weren’t nearly as kind, and by 1991—despite the 138 stores and sales of $855 million, according to Wikipedia—changes were afoot. 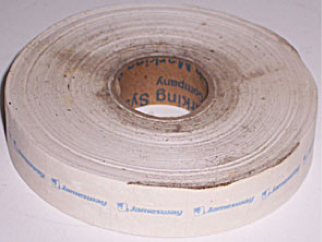 A refinancing saw 11 stores close that year; and by July 1993, Jamesway had filed for Chapter 11 protection. Additional stores continued to close throughout 1994, as the company spiraled downhill. 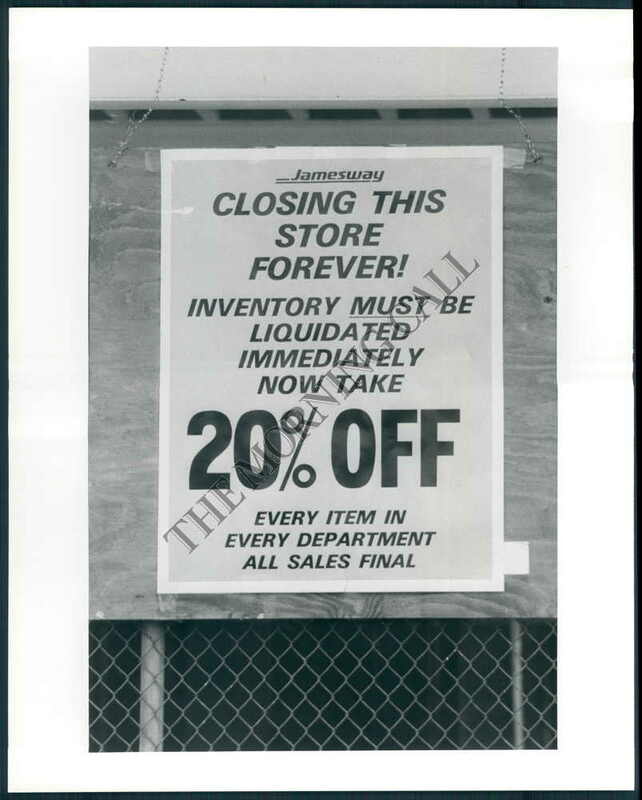 Finally, between October and December 1995, Jamesway closed all of its remaining stores and liquidated its inventory… even down to all those unused price stickers. Tagged Jamesway, Laurel Shopping Center, Lost Laurel, maypops, The Hecht Co.
Not true (at least if you went to the sporting goods dept.). I worked there from Sept. ’84 to May ’87; and depending on what the warehouse felt like sending down that week Jamesway actually had brands like Reebok and Bata. At one point they started carring Nikes, but that didn’t last long (something about ‘brand degradation’).